Every three to six months, Blizzard pick a name for something and we go a bit doolally. It helps remind us that they’re one of the most exciting companies in PC gaming, and undoes some of the glumness of the days we’ve spent talking about obstinate always-online requirements and declining WoW subs. 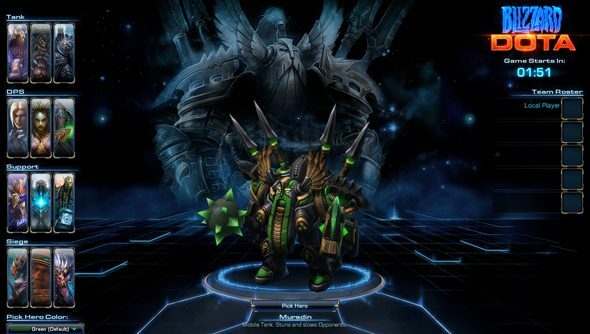 Today, we’re wondering what ‘Heroes of the Storm’ might be. And trying to persuade Jim Morrison to vacate our heads. The trademark was filed in New Zealand by one AJ Park, who also had a hand in registering Hearthstone and Reaper of Souls. ‘Heroes of…’ is becoming a favoured motif for Blizzard: it probably hasn’t escaped your notice that Hearthstone is subtitled Heroes of Warcraft. But if you’re looking for reasons to suspect that the new name isn’t a Hearthstone relation, here are two: first, it’s probably a little early to be prepping expansions for a game that hasn’t yet been released to the general public. And second, unlike Hearthstone, Heroes of the Storm’s trademark specifically covers “computer game discs”. If Blizzard have plans to package their TCG as a boxed edition, they haven’t divulged them to us or anybody else. The next best suspect, then, is Blizzard All-Stars, formerly Blizzard DOTA – notably absent from this year’s BlizzCon. The developers’ first attempt at the MOBA genre spawned by their own community was first unveiled as a custom StarCraft II map three years ago. It’s since been in “active development” as a full, standalone game, and Blizzard were last heard to be tweaking its payment model – a free-to-play system in line with the other leading lights of the genre. Or perhaps we’re in for something else entirely. Spin us your own speculatory deductions in the comment section below. Oh, and while we’re talking Blizzard: here’s why we think you should return to World of Warcraft.